Its name is ‘Monte della Torre’. It has emerged in many occasions, because when oil is characterized by quality, it immediately draws attention to itself. This happens even more when the oil is produced according to the methods of organic farming. It means that the operators are working not only with passion, but with a well-defined strategy and planning, and the oil itself is designed and thought, before being produced. So, it is not a coincidence that the company ‘Monte della Torre’ has established itself in the nineteenth edition of the International Prize ‘Biol 2014’. Attentio n was even drawn to New York, where, during the famous ‘Fancy Food Summer’, just ended on last July 1st, the best extra virgin Biol oils, including ‘Monte della Torre’ extra virgin olive oil, were awarded. This oil was judged by international experts as by far the best of last year among 425 oils in competition, coming from as many as 17 Countries in the world. 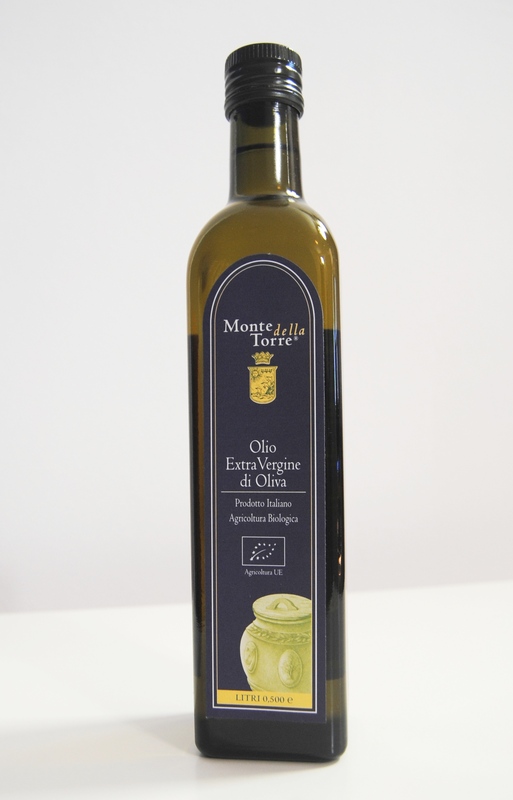 The company ‘Monte della Torre’ is located in the hills of Francolise, the best location for producing quality oils. It is just at the source of the Calena spring. It is not a business for amateur olive growers. It extends for more than twenty hectares and it is owned by the Marulli family. In the olive grove, some exemplars of centuries old trees make a fine show. Among them, there are the ‘Olivastro of Caserta’ and the ‘Pignarola’, as well as recent cultivars growing in the area of Caserta, as it happens for the triad Frantoio, Leccino, and Pendolino. 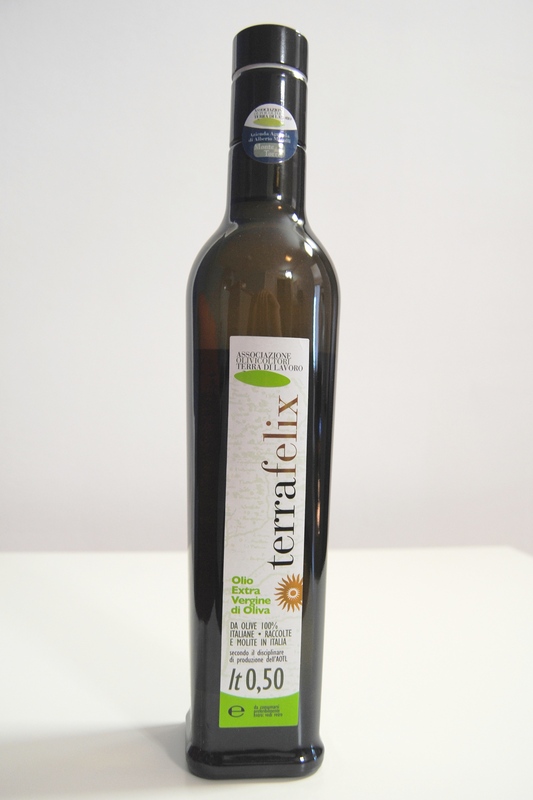 ‘Monte della Torre’ boasts as many as four references: the ‘Etichetta blu’ (blue label), the ‘Etichetta verde’ (green label), the ‘Etichetta rossa’ (red label), and finally the ‘Terra Felix’. The ‘Etichetta blu’ boasts the longest story, and it is the oil which has been most awarded for the constancy of its quality. But the other oils are not far behind it. 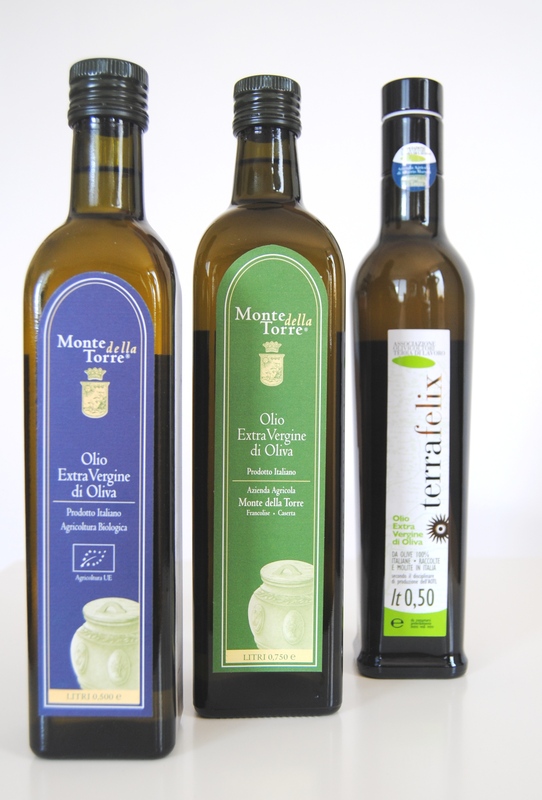 The difference is in the blend of oils which are prepared. In the ‘Etichetta Blu’, the oils are the result of Itrana, Pignatola, and other autochthonous ecotypes of olives. This is the winner of the ‘Biol 2014’. In the ‘Etichetta verde’ the olives from which it is prepared are Carnelian, Frantoio, and other autochthonous ecotypes. Behind the ‘Etichetta Rossa’ there is a long story: the oil is obtained only from centuries old olive trees. Finally, the ‘Terra Felix’ expresses Frantoio, Pignarola, and other autochthonous cultivars. Each oil has its own personality. Alberto Marulli graduated with a thesis concerning oil machines in engineering. He does not limit himself to grind the olives in order to obtain oil, but the oil he produces follows a logic related to the timing and the mode of action on olives in the mill, without causing an imbalance of the olives, respecting their distinctive properties. 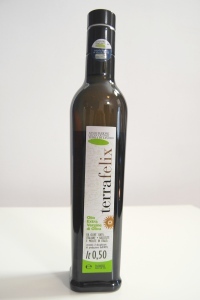 The oil is extracted by squeezing olives, it is an elementary process, but not everyone use the technology to the fullest. The operators who are able to do this well obtain from the fruit an oil characterized by an excellent quality. 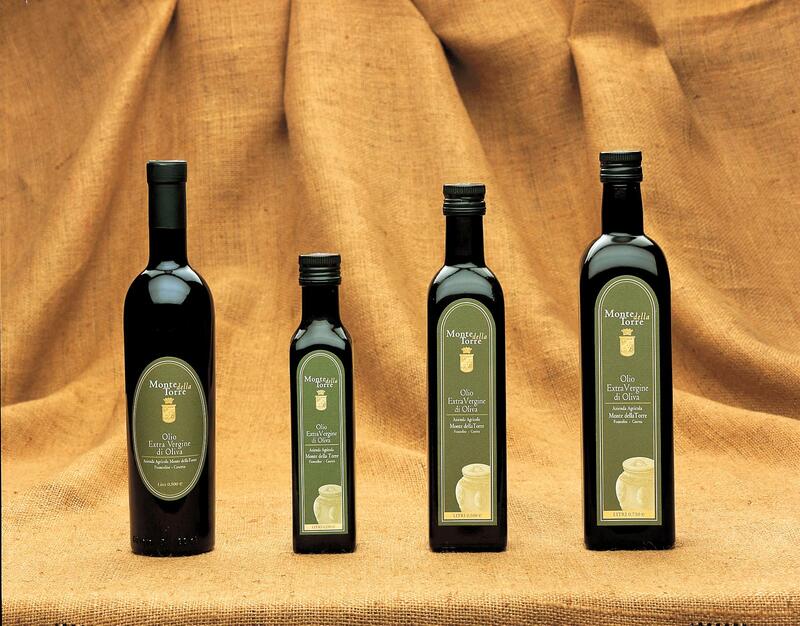 The ‘Etichetta Rossa’, for example, is an oil for a selected few, sometimes it is not even available on the market. Alberto Marulli says: «I realize the ‘Etichetta Rossa’ oil more for study than to market it». The ‘Etichetta Rossa’ is proposed in the ml 500 glass bottle. Indeed, very little of this product is produced. «This is just the oil obtained from the ancient clones in my fields. Sometimes only two or three cartons, sometimes four, at best. It is obtained from only a few plants. In the last picking, the one dating back to 2013, I have not produced this oil. Why did I create this bottle? Many people, curious, ask this. I reply: ‘I do it in order to try, to experiment’». And we imagine that he does it in order to keep alive some ecotypes of the territory at Francolise which would otherwise be lost, too. It is just a testimony of the biodiversity considered as a value which cannot be set aside, if we are concerned about love for olive tree. The appreciation for Alberto Marulli’s work is in his approach. His hallmark consists in that he not only pays the utmost attention to the progressive formation of the olive, from inflorescence forward, but also the ways to proceed with the picking of the fruit. For example, he mills his olives in the oil press variety to variety, and only when this process has been carried out he proceeds with the realization of his blend. Other producers behave differently, for the most part: they collect all the olives without distinguishing, milling them together, without taking care of separating the different varieties, putting everything indiscriminately. This is a serious mistake, because the oil can also be good, it certainly is, but this way we do not enhance it to the best, identifying how to present it according to the value of objective quality, desired and perceived as such by the consumers. In short, this situation is similar to the one proposed by a tailor who realizes a custom-made suit. The result is very different. The oil obtained from olives is good in itself, if the olives are healthy and the extraction is carried out according to the rules, but if the operators pay attention by extracting the oil according to the variety of olives, they give a touch of personality to their product. It is like a signature. It becomes possible to characterize at the sensory level the oil which is extracted. On the other hand, without such care, the product which results is accepted, but this is certainly not the best way to produce oil. A touch of personality is always necessary. The ‘Monte della Torre’ company is all organic. «We are a family group», Marulli says. The family. 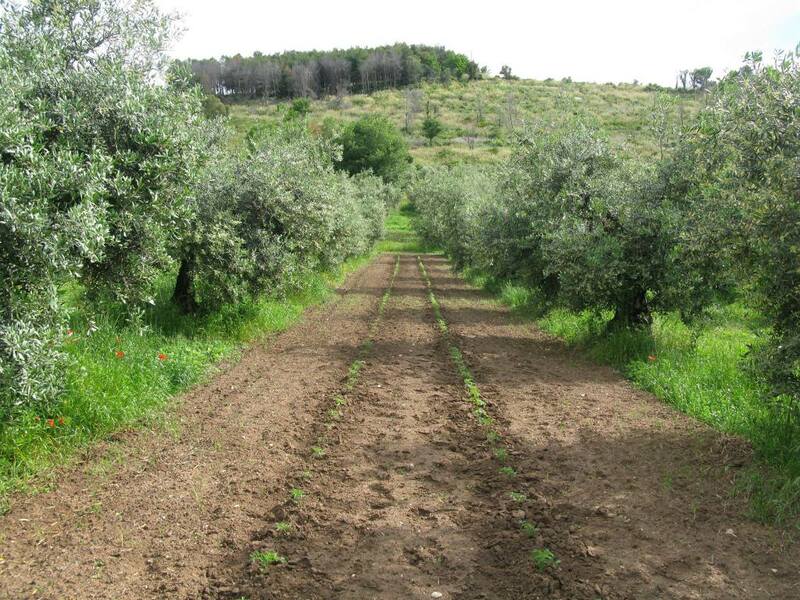 The majority of Italian olive farms, almost all, are familiar ones. However, in this case the management is rational, scientific, modern, never left to chance. The operators work with the utmost care in management. They do not work in their spare time, but in terms of the goals they want to achieve: just this way the quality is obtained at the best, being appreciated by the consumer. And, besides quality, the consistency of quality over the years is noteworthy. The trade goes well for the Marulli family, oriented towards different Countries, especially England, France, Canada, and the United States of America. The online trade, too, is taken in the highest regard, enhancing and investing in this channel. Marulli does not stop at what he has acquired. He goes beyond. He even became a pizza maker, not in order to pursue this profession, but for learning. He is now in the second year of study in a course he follows to become a chef. He explains: «I am studying because acquiring new knowledge allows me to have a broader view of the product of which I am the author. By means of these studies I also acquire a sensitivity which allows me to deal with other food commodities, so understanding the evolutionary dynamics of the food during the various preparations. This way I find the most optimal matching with the oil, experimenting constantly, not only theoretically. I do this for personal culture». It seems to be a wise choice that allows us understanding what it means to work for quality without limiting oneself only to one’s skills.